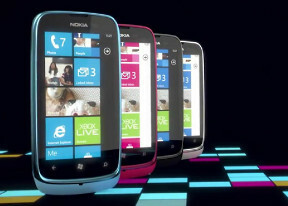 does nokia lumia 610 have music equaliser ??? Ap rasel, 26 Mar 2013I want application &songs download but didn,t work.Why please tell me.This phone is not that bad guys if Yu want to dwnload music Yu must frst dwnload easy ring an music from market place.and then turn on location it will help U. Can anyone tell me how you guys took screenshots in this phone? LittleRockstar, 12 May 2013First you must download Bluetooth Share from the marketplace...then it will ask you to update ... moreI want to know how must I do if I want send pictures and music to my Nokia lumia pls help me. mel, 08 Apr 2013I cannot receive files via Bluetooth or send itFirst you must download Bluetooth Share from the marketplace...then it will ask you to update your phone's version to windows 7.8..that is when it will work..you can update it by connecting your phone to your pc. not user and network friendly,I've used it as an fire starter ,sorry for the hard facts . I want application &songs download but didn,t work.Why please tell me. I bought this phone nut I tired. Because no software can download by me easily. Most thing is that my phone could not support any theme files..
Lumia is applicable use of Facebook..